I have held this position since 1997. The Blackberry Township Highway District was established to build, repair and maintain the rural roads and bridges in Blackberry Township. We currently have responsibility for over 57 linear miles of roads. Most funding for road work comes from Real Estate taxes. Separate funds exist for the maintenance of bridges. We are only able to use money from each fund for the designated purpose. The Blackberry Township Highway District was formed at the same time that Township Government was established in Illinois in 1849. The demands for road maintenance have shifted over the years with the introduction of subdivisions and blacktop roadways. When subdivisions are created, the developer has the primary responsibility for building the roads to Township standards. 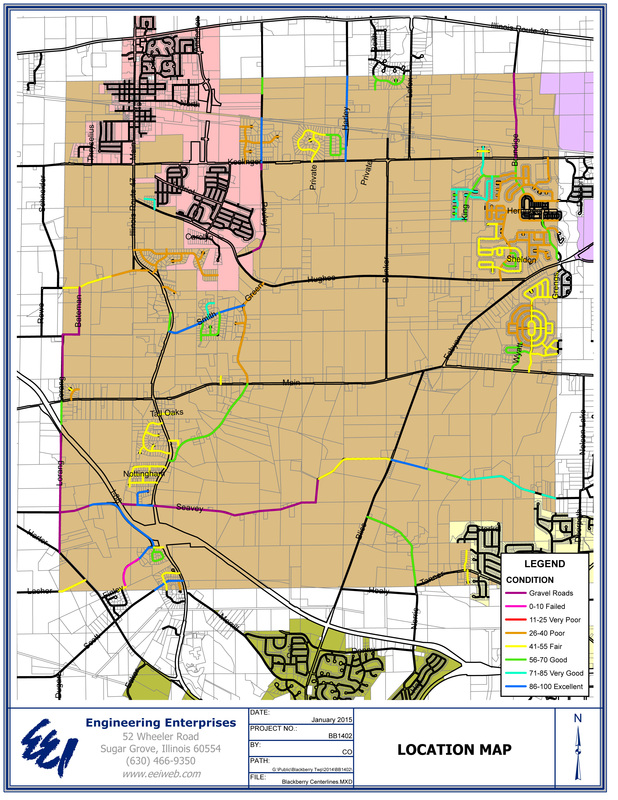 Once the subdivision is open, the roadways are the Township responsibility unless other agreements are in place. Currently the township still has about 6.0 miles of gravel roads. The Township has nine bridges. We are fortunate that when bridge repair or replacement is necessary that state and federal funds are available to offset some of the cost. A similar source of funds is not available for road maintenance. The current tax rate allows the Township Highway Road Fund to resurface about 1.7 miles of linear miles. The average recommended life of a roadway is seldom over ten years. If you have a road surface concern, you should contact the Highway Commissioner at the addresses listed below, so that we are aware of your concern and can check it out. The Township Highway District aggressively pursues any appropriate grant monies to offset the cost to local tax payers. Submit an annual tax levy for Township board approval. Submit a report to the citizens of the Township at the annual Town meeting held the second Tuesday in April at 7:00 pm each year. Works with other Township Highway Commissioners to share equipment and manpower when undertaking larger projects. This practice avoids duplication of expensive equipment that is not used daily. 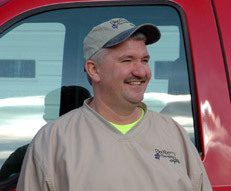 Our primary ongoing tasks include road repairs, snow removal, roadside grass mowing and tree trimming along the public roadways. The Township will remove a dead or decaying tree from the parkway as well as grinding the stump if on Township right of way.The Township does not have adequate resources for a brush pickup program.